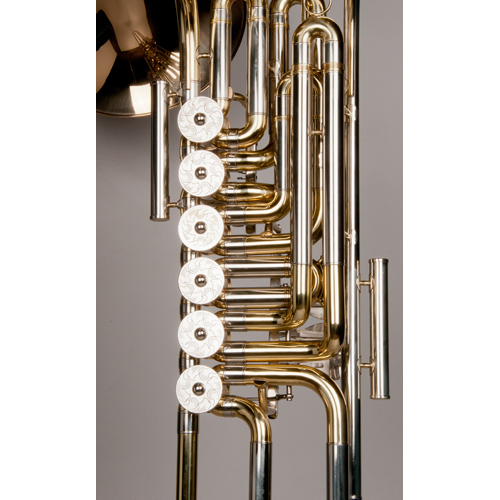 The Tempest Cimbasso Tuba is an extraordinary instrument, designed for the professional trombone or tuba player. 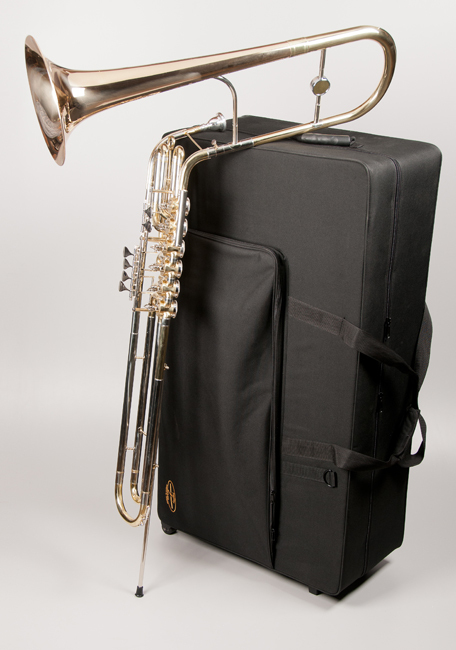 The Cimbasso was first known in Verdi operas. It went largely unknown after that, but it has undergone a tremendous revival. The sound is warm, resonant and has great carrying power. 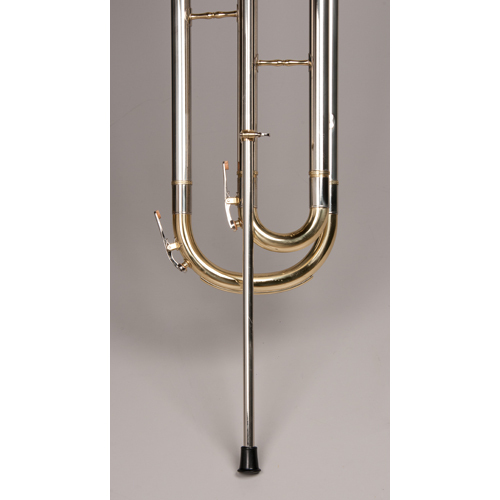 The Cimbasso is now used in various brass choirs, jazz, solo and even in popular music. 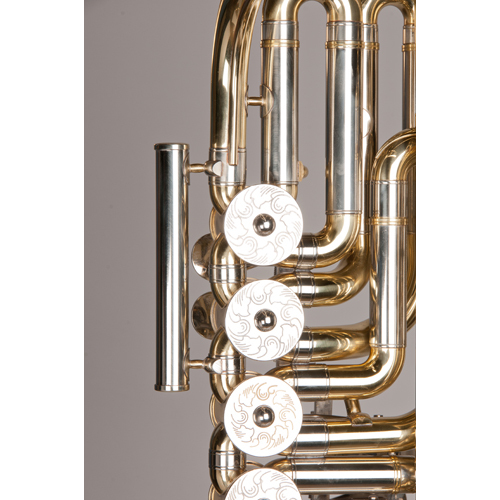 The Tempest Cimbasso is pitched in F, and has 6 gloriously fast Rotary Valves (4 on the right hand, and 2 on the left). So, the pitch is as rock solid as you can get. 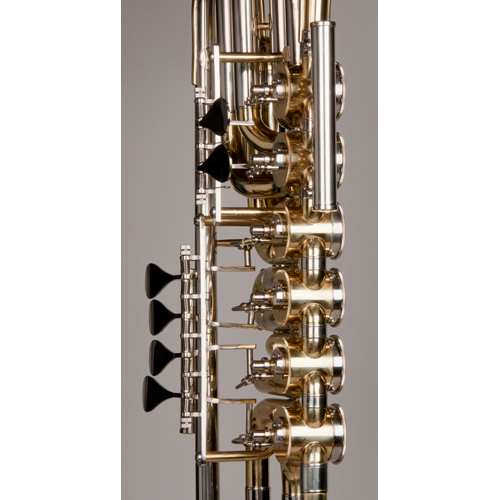 The design is most ergonomic, with hand extensions for the valves, an adjustable floor stand, and it can be played at almost any angle. The bore is .717” and it has an 11 inch bell. The brass body has a high content copper that gives a truly dark and glorious sound. It has generous nickel silver trim throughout. The rotary valves have a ball and socket mechanism and the back Valve Caps are engraved. 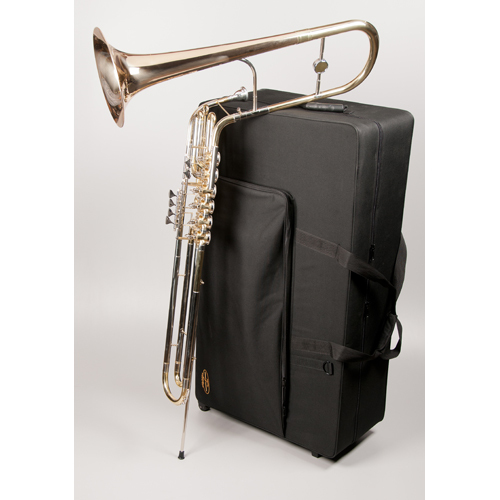 The instrument carries a 5-year warranty and is fitted in a generous zippered hard case with wheel for easy transportation..